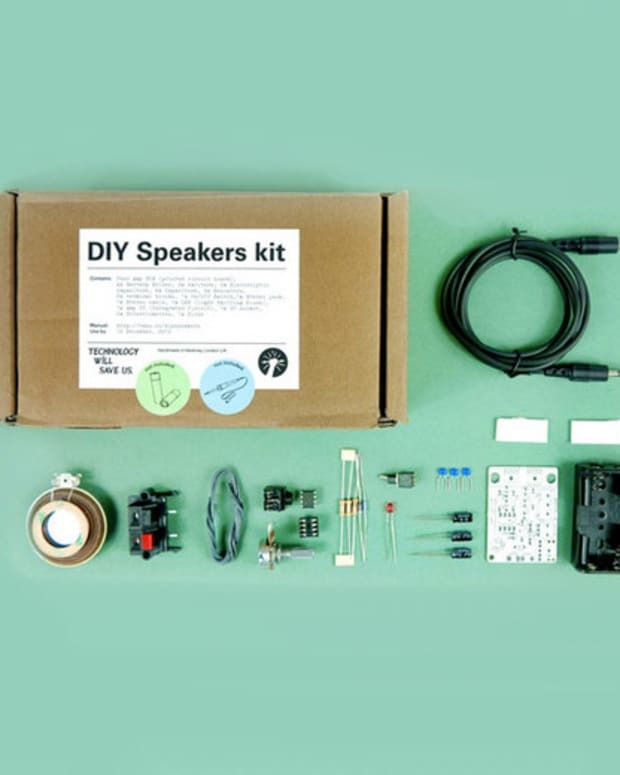 These unique speakers are the brainchild of Specimen&apos;s Ian Schneller, and violinist and composer Andrew Bird who debuted an installation art spectacle, Sonic Arboretum, in 2010 at the Guggenheim Museum in New York and also in 2011, and also at the Museum of Contemporary Art Chicago. 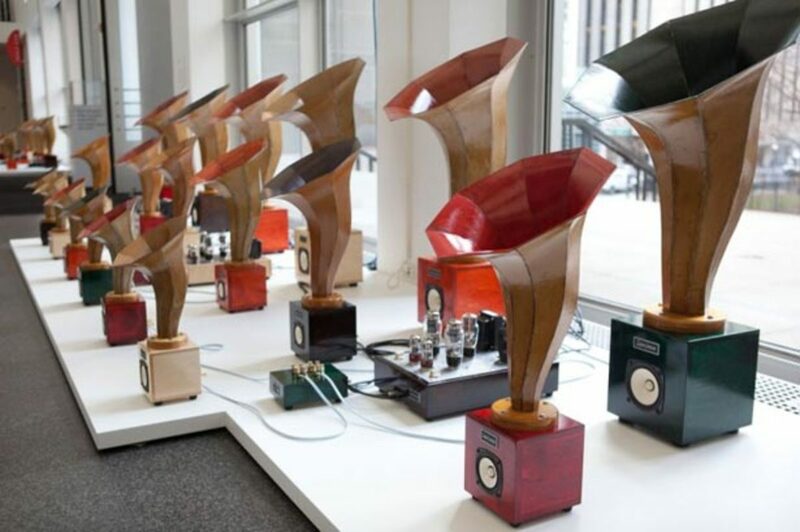 Sonic Arboretum featured 76 horn speakers and Custom Hi-Fi Tube Amplifiers from Specimen. 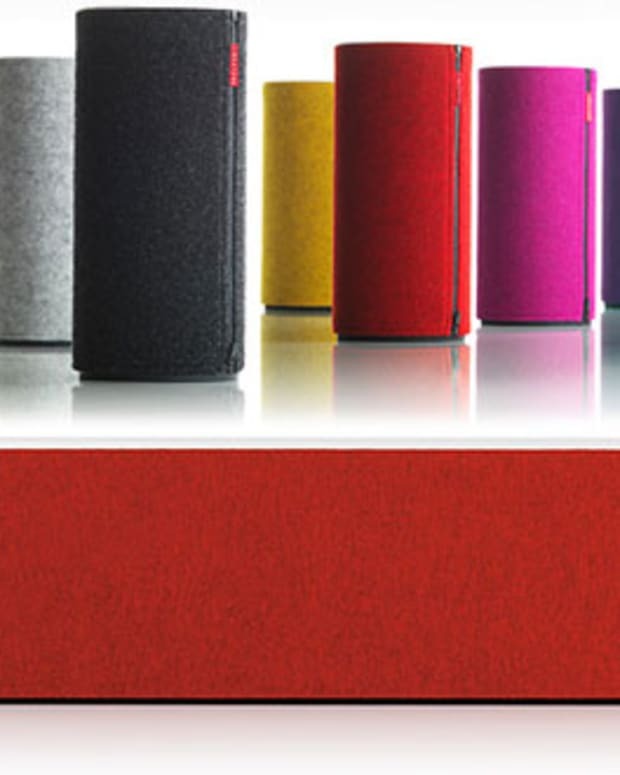 These 19” Hornlet speakers are available for your home, office or artist loft or where ever the hell you call home. 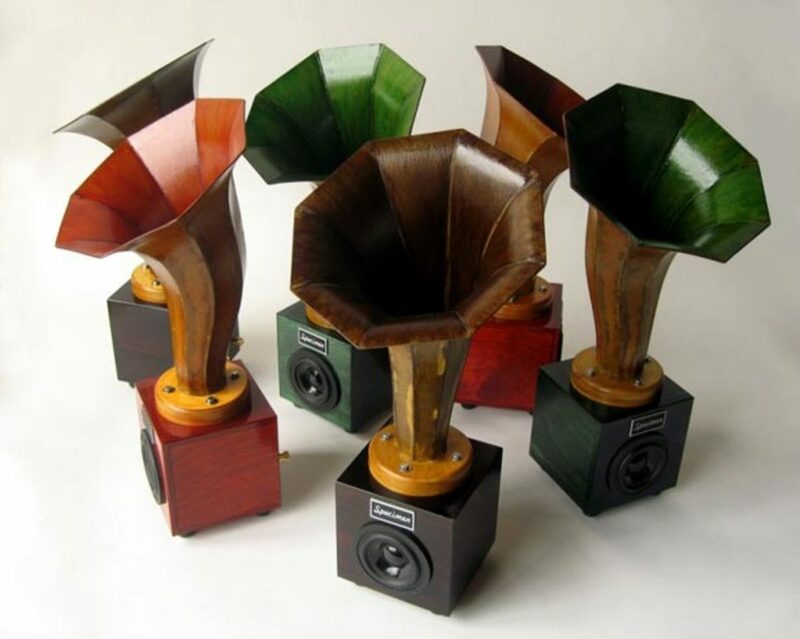 The Hornlet speakers are built by Specimen in Chicago. The bases are made of Baltic birch plywood and the eco-friendly horns are made from recycled newsprint, dryer lint and shellac. 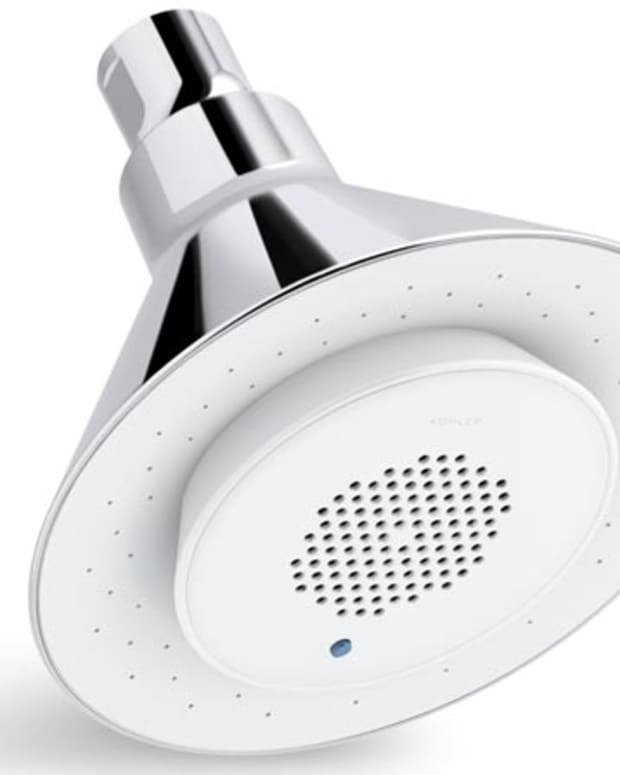 The speakers can be paired with any iPod, CD player, or radio and they can also be used with any of Specimen’s hi-fi tube amplifiers. The horns come in natural, dark green, dark red, dark orange and dark walnut. Yours for $1,200 US.